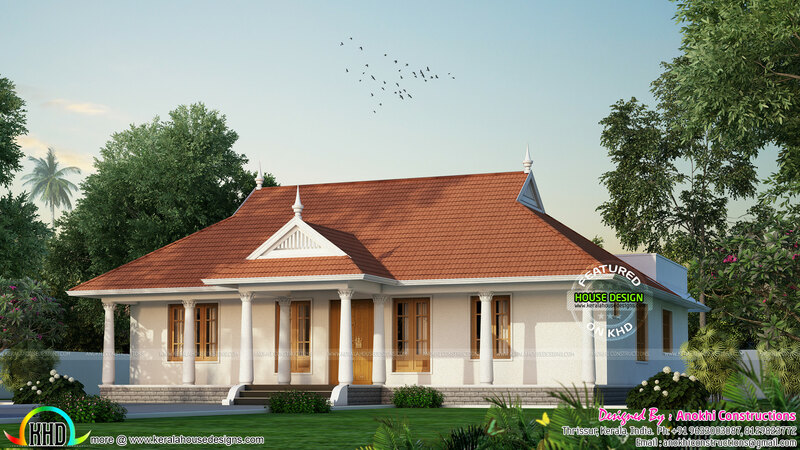 1175 Square feet (109 Square Meter) (131 Square Yards) single floor sloping roof house architecture with a estimated construction cost of Rs.26 lakhs^ (January 2017). Design provided by Anokhi Constructions, Thrissur, Kerala. 0 comments on "Single floor house with estimated cost"